For college families and their students, when discussing college the conversation almost always turns to money. For good reason, according to the College Board’s 2016 Trends in College Pricing – the average published in‐state tuition and fee and room and board charges for 2016-17 are $20,090 and for out of state students, total charges are $35,370. The average published total charges at private nonprofit four-year institutions are $45,370. In fact, for many college families, the expense of a higher education is one of the largest investments they will make. 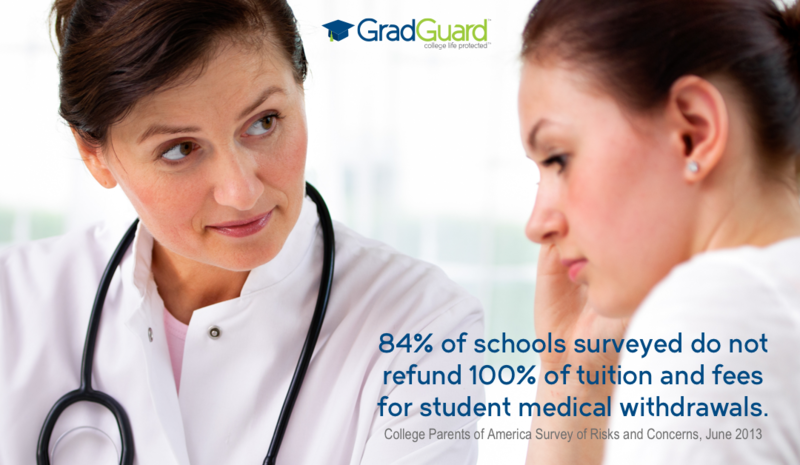 With so much money at stake, GradGuard suggests that college parents make a plan in case your student is forced to withdraw from school due to a bad bout of mono, illness or injury. If you can afford to pay the cost of an extra semester, then you may not need tuition insurance. However, for most of the nearly twenty million college students and their families, the cost of an extra semester would be a real financial burden. As a result, college families are smart to consider purchasing Tuition Insurance prior to the start of school. If you can’t afford to lose the investment you are making in your semester of school – Tuition insurance can provide up to 100% refund for your expenses if a student gets sick, injured or have to leave school due to the death of a parent. 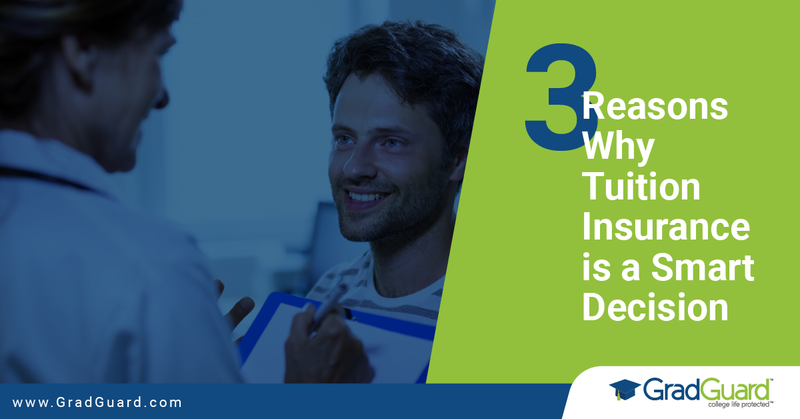 Tuition insurance can cover those costs and help you get back on your feet in the event of a withdrawal, without the added stress of a financial loss. If your school does not provide 100% refund? – Do you know what your school’s refund policy is? A majority of school refund policies do not extend beyond the fifth week of the semester, and many don’t refund the full cost of tuition after the start of classes. Be sure to check with your school to see what their policy is and how much money is at risk. Check GradGuard’s school search function to see if your school offers tuition insurance to students. According to research from the American College Health Association, student health incidents such as illnesses, accidents, and injuries happen frequently, even to young and healthy college students. The good news is that college families can protect their investment by purchasing tuition insurance coverage starting at $29.95 for $2,500 per term. Remember, tuition insurance must be purchased prior to the start of school and, like all insurance plans, be sure to check the specific terms, conditions, and exclusions of your policy. 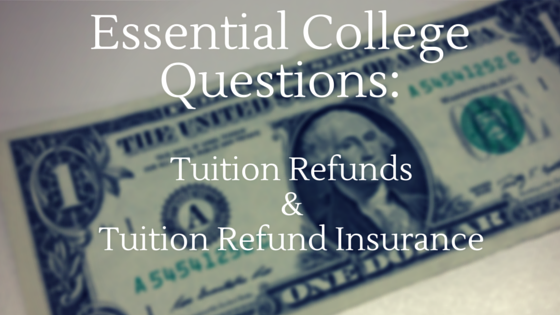 Essential Questions Regarding Tuition Refunds & Tuition Insurance What will happen if you have to withdraw from college?